Despite a generally decent first eight minutes, there’s no way to defend Josh Trank’s utterly unnecessary Fantastic Four reboot/origin story. It’s a marvel, pun intended, to witness a super hero movie so utterly failing to fizz. The inability of Fantastic Four’s component parts to come together in any meaningful way yields a movie so bereft of humanity and genuine emotion that my first reaction upon walking out of the theatre was to ask twitter for a hug. 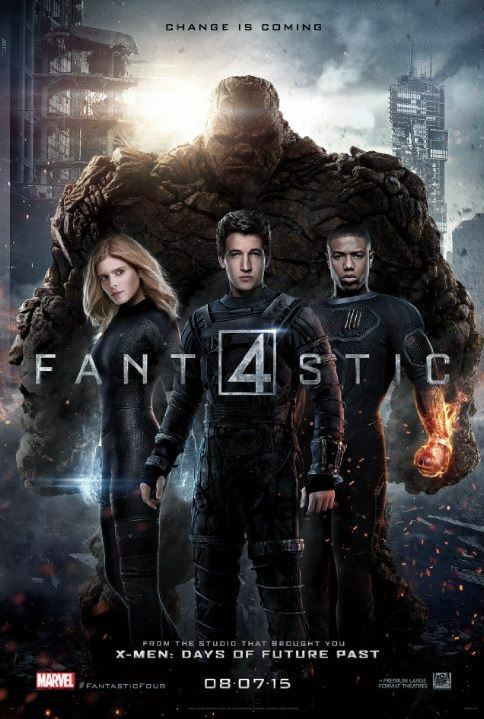 This iteration of the Fantastic Four is at once a self-serious attempt to reboot a near fifty-year-old franchise and a means of spinning Marvel’s first family for a younger audience. We know the wee ones are the movie’s target demographic as it features a cast of late 20- and early 30-somethings playing teenagers. Despite this fixation on youth, the catalyst for the Fantastic Four’s origin story is a dour, hard science fiction enterprise. One can only assume Mr. Trank, in all his wisdom, thinks children are not able to imagine beyond a lazy Nolan-esque worldview built upon cynicism and grey tones. Things get no better once the movie gets under way. A significant part of the first act – the part where the team should visibly bond and come together – shakes out as a montage sequence of Reed Richards et al building a quantum teleportation device. One need not be possessed by the ghost of Stanley Kubrick to know that first act montages are not typically a marker of a strong production. Yet the real problem here is the super power McGuffin, itself. And no, this isn’t butthurt out of a loyalty to canon. Comic book canon does, however, tell us something about the story’s expectations for its audience. Buying into the idea of cosmic radiation giving someone powers, and not lymphoma, is an innately innocent act. Jack Kirby and Stan Lee wanted their readers to believe in the fantastic. A tonal shift toward hard science fiction not only invalidates innocence and wonder as the core emotions of the story, but likely proved boring as hell for test audiences. Thus the first act montage. Thus the pointlessness of retconning the source material into something more serious while still working with a younger audience. Would that it didn’t get any worse, one might be able to present this movie in some scant shred of a positive light. Alas, it gets worse. Where most movies are divided into a three act structure, there’s no such conventional pacing to the new Fantastic Four. There’s a protracted first act, wherein manly men do science and women work quietly in the corner (kudos for capturing the worst elements of the 60s source material). Then there’s the second act where everybody has powers and spends five minutes fighting Victor von Doom in another dimension. Then the movie’s over. The bumper material between the first and second act consists of Reed Richards breaking out of a government holding cell and Reed Richards getting captured by the government after a cut to black and “one year later” card is flashed. I suppose we could call that a second act, but it’s more like a narrative rope bridge: flimsy and barely able to carry the weight of its burdens. All this and I haven’t even said a word about the acting. Who knew I would ever miss Ioan Gruffudd and Michael Chiklis selling Tim Story’s garbage for all they were worth? At least those films had a generally solid cast (not you, Jessica Alba) and the acting offered a bit of respite from the uninspired writing. This iteration holds no such luxury. Miles Teller is as bland as banana paste. Michael B. Jordan phones it in, likely because he knew no amount of acting would outshine the “controversy” of his casting (thanks again, racist assholes of the world). Kate Mara stares lifelessly into the camera, as she so often does on House of Cards. 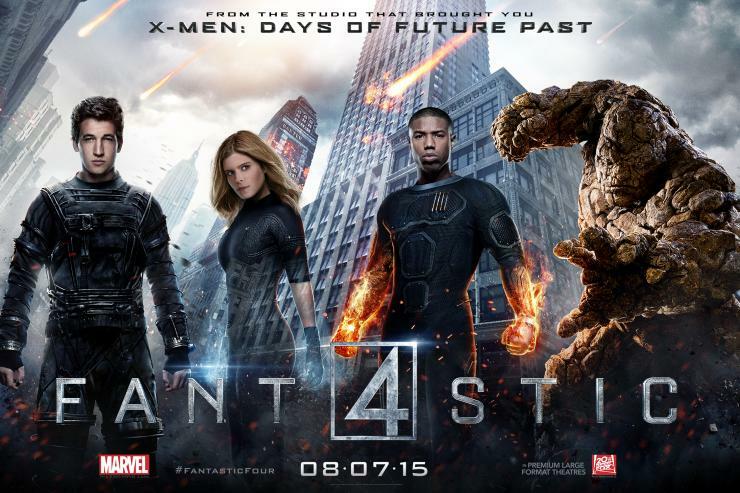 And Jamie Bell looks as perpetually nonplussed as I felt in trying to figure out why Ben Grimm is even in this movie. With the Baxter Building, the very icon of the Fantastic Four, retconned into Franklin Storm’s School for the Gifted, a wholly owned subsidiary of DARPA, there’s no joy to be found anywhere within this movie. It is the worst sort of franchise bait. Like all films preoccupied with building market share rather than telling a story, Josh Trank and credited co-writers Jeremy Slater and Simon Kinberg presume to pass off back story for actual plot. This “creative” triumvirate appears to have forgotten that some back stories are more complex than others. In this case, an hour and forty minute origin story is a crystal clear indictment of the movie’s piss poor vision and/or the director’s inability to keep the production from going off the rails. Let this serve as a lesson. The screenplay is not ready to see the light of day when 80% of a movie’s plot can be summarized with the theme song from a cornball Saturday morning cartoon.